YUM! This was a treat for preggo Steph here! I was SUPER lucky to try all the products below. 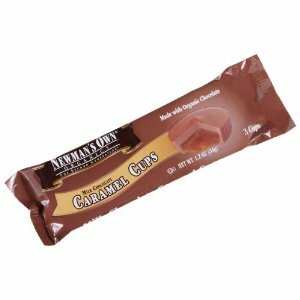 Checkout how awesome Newman's Own Organics was to me! Lucky for you, I have a sweet tooth! See after my review that you can win my TOP FOUR FAVs! #1 Favorite in our house was the Family Recipe Double Chocolate Chip cookies! SUPER soft, delicious and a little crunchy. Only issue: we needed more! Seriously, hubby and I didn't even share with the little one. We ate the whole bag within 24 hours. #2 Was Mama Steph's fav--the Caramel Cups! Ooohh yeah! Chocolaty with a yummy caramel gooey inside. What's NOT to love? #3 Newman-O's...enough said. Chocolate cookies with a SUPER creamy filling. Thick and delicious! SUPER for kiddos. Organic and natural ingredients. 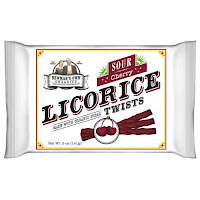 #4 Sour Cherry Licorice. Not that sour, just a great tang covered in sugar. SUPER addictive and a great alternative to...ahem...all the chocolate listed above! Other notes about items in my first picture--my 3 year old LOVED the regular mints. He asks for them constantly. 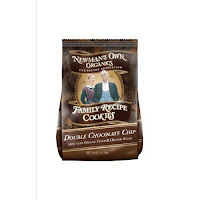 I liked the double chocolate Newman-o's too! Pretzels were fresh and crunchy! Great flavor. The fruit was packaged SO well and was extremely soft and fresh. Seriously, we LOVED so many of these products! I received Newman's Own Organics products for review, but I did not receive any additional compensation. These opinions are my own. Enter to win some of these great items! You win my FAVORITE FOUR! Congrats to the winner! Laura R! I love their snacks...so delicious! Yum..those all look so good! 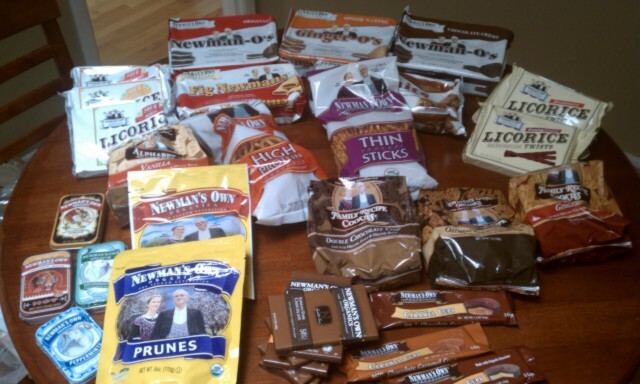 Newman's Own is one of the best companies around! Ginger O's, I guess they are. Mmmmm! the snacks look so YUMMY. it would help when packing lunches each day !! I have never tried their foods. Really hope I win so I can! I would like to try the licorice! I've been WANTING to try some of their products, and I'd love to win this prize pack! Thanks so much for the giveaway! I love all their products Yummy! What a great giveaway! 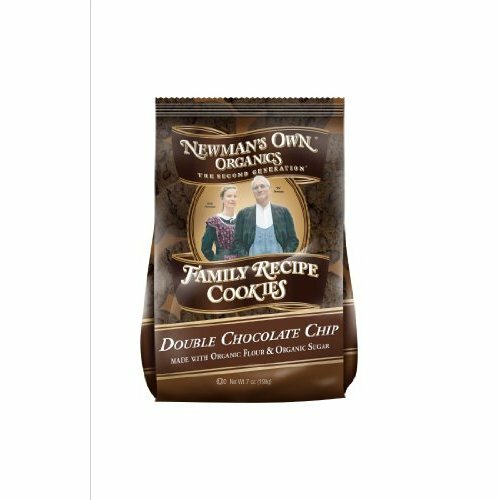 I love Newmans! Thanks you for a great opportunity.